A Thermistor is an electrical resistor whose resistance is greatly reduced by heating, used for measurement and control. Basically, it is an element with an electrical resistance that changes in response to temperature. These are widely used in a variety of electronic applications, most often as temperature sensors. Additional uses of thermistors include current limiters, current protectors and heating elements.Thermistors are widely used as inrush current limiter, temperature sensors (Negative Temperature Coefficient or NTC type typically), self-resetting overcurrent protectors, and self-regulating heating elements (Positive Temperature Coefficient or PTC type typically). 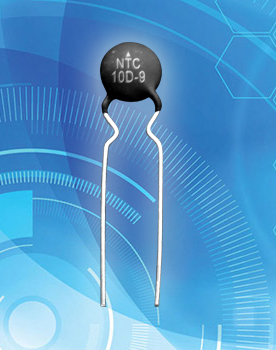 Thermistor values supplied in DAIN are 10D9, 100D9, 20D9 and various other according to requirement of the circuits boards of manufacturers.